Salman Khan has made headlines for a number of reasons over the years. More recently, he was in the news because of ‘Tubelight’, his new movie. But today, he is in the news for something absolutely different. 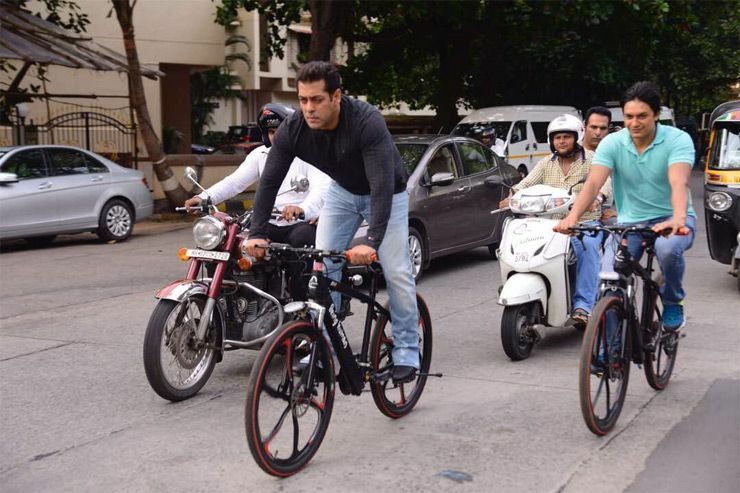 Everyone knows of Salman Khan’s love for cycling and now, since he is promoting Being Human’s e-cycle range, he has been seen cycling around the city more often. 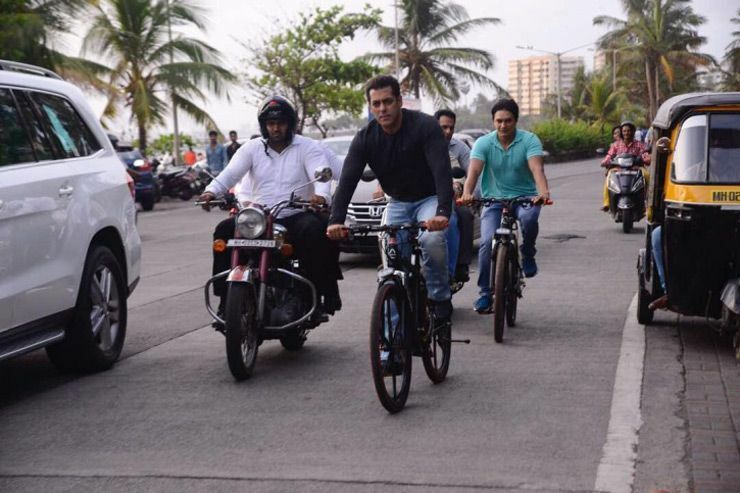 In a video posted by him on Twitter, we can see surprised onlookers cheering for him and calling him Bhaijaan. Shah Rukh Khan will be making a guest appearance in ‘Tubelight’ and we’re hoping he joins Salman the next time and the two enjoy a ride through Mumbai.